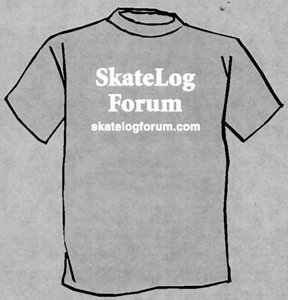 Our SkateLog Forum T-Shirts are made of moisture wicking CoolMax fabric, they cost $15.00, and they are available in small, medium, large, and extra large sizes. You don't need to send any money now. 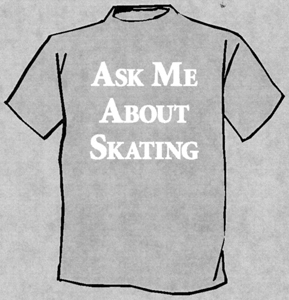 We will ask for $15.00 per shirt at the time the order is sent to the silkscreen shop.